The stigma that often surrounds mental health, especially mood disorders, can be overwhelming. Though, much of it is due to a lack of understanding and this often applies to the bipolar suffer and those without the disorder. In an effort to bring about change and information, March 30th is World Bipolar Day. What is National Bipolar Day? Wondering why the 30th of March was chosen? It’s Vincent Van Gogh’s birthday. The world-renown painter was thought to have suffered from this mental illness that went undiagnosed and unidentified during his life. It’s a “nod” to everyone else that has suffered through multiple misdiagnoses. This date was also chosen to emphasize the need for acceptance and education when it comes to bipolar disorder and all other types of mental health issues. 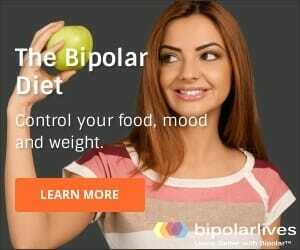 It was started by the ANBD (Asian Network of Bipolar Disorder) in conjunction with the IBPF (International Bipolar Foundation) and the ISBD (International Society for Bipolar Disorders). Their mission is simple; to inform everyone. Around the world, various events will be taking place. Some are geared towards awareness, while others celebrate milestones reached in treatment, education and research. Australia might currently lead the world in its attempts to remove any stigma associated with the disorder. Every March 30th, in Canberra, bubbles are blown for bipolar. This fun and ingenious event uses bubbles to represent the highs and lows that everyone suffering from bipolar feels. This day is not only about fun, there’s also a serious side. Online chat groups providing support and encouragement are established, and often remain active throughout the year. Forums are held, where anyone interested in learning more about all types of bipolar disorder can attend. New information about the latest research and treatments is released, and this can be enough to give patients and loved ones hope that they haven’t been forgotten. The key is to bring about awareness, and there are several ways you can help, whether you or someone you know has a mental health issue. The first step is to make your voice heard. Sign legislation geared towards improving treatment, research and diagnosis. If you truly want your voice to be heard, become a part of the conversation on social media. There is a Facebook page (WBD) where you can share your thoughts, concerns and stories. Use the hashtag #WorldBipolarDay on Instagram, and even Twitter has a handle, @WorldBipolarDay. These are just a few examples of what you can do to help make a difference in your community. World Bipolar Day seeks to bring everyone, in all mental health industries, together. As collaborations between these various groups continues to grow, successes of varying degrees are being felt. With the main goal to bring awareness to everyone about all mental health issues, the WHO wants to emphasize some of the warning signs that could indicate that someone might be bipolar. Excess poor life choices; shopping sprees, gambling, engaging in other risky behaviors. If you think you or someone else might have bipolar disorder, here’s a complete list of the common symptoms. What is perhaps the main purpose behind this day, is to remind everyone that they’re not alone. Bipolar Disorder affects millions, and if you have this disease you are not the only one. Counselors are available in person and online ready to help or just listen. Every milestone that you reach in your treatment, no matter how small, deserves to be recognized. This is the perfect time for you to do so. Share your pictures and stories online, your triumphs and struggles could help or inspire others. They can also do the same for you. Even if you’re not comfortable sharing your personal experiences with others, read their stories and don’t be afraid to join the conversation. Every voice counts, especially yours. Being bipolar is nothing to be ashamed of, it is an illness that you are learning to live and thrive with. So, celebrate bipolar awareness this March. Everyone can make a difference. Can I count on you to make a difference in your community? Start a conversation in the comment section and let everyone know what you want to do on March 30th? See what one voice can accomplish. Bravo! I will do my part … Even better during Holy Week. It is nice to see some progress being made. On a scale of 1 to 10 mental health as a science is a 1. BUT this got it going from a big zero. Thank you. 26 years ago I was diagnosed by a doctor as Bipolar II and put on lithium; I hadn’t slept a wink for 3 weeks prior to that. This is the same diagnosis I had given myself at 16 years old after reading an article about. That was 16 years prior to a doctor confirming what I thought. I live a full, happy life now. I’m married, live in the country with nature and wildlife all around, it is very peaceful. This is great! After a life (I am 55) of me feeling different, never fitting in any place and not being able to keep friends for long…..after feeling that I was kind of stupid, incapable and not a social person, who loves everyone but have difficulty showing it, I was diagnosed with bipolar depression last year! Yeahhhhh! I finally had a crisis; I was not able to hold myself and received help! A doctor from Morroco, an angel, put me in to several medications, and now, a year after that, I understand myself, my life, I can see what happen to me and I am beginning to forgive myself! Yes, we are different from many people, but we are wonderful too! Understanding ourselves is all we need to star giving a meaning to our life and thrive. Note: I really wish bipolar people can receive help and guidance at a young age, understanding what’s going on with you is all you need to start walking, not stumbling! I was diagnoed as bipolar over 20 years ago but I think I’ve had it for 50 years. I think it was triggered by having anorexia for 30 years.I think it started soon after I became anorexic in my late teens. It has been under control for the past 19 years because of the medications. This is the 2nd time I have written a comment – the other was not received because I was told my e-mail was invalid. i WAS DIAGNOSED in my twenties yet I feel I had symptoms in my teens. Now in my 70’s I am very stabilized on my medications especially after coming off Lithium which had deteriorated my kidneys. I have two questions. Is it true that being on the pills for BP lessens the length of ones life span by up to l0 years?. Being in my 70’s , and my mother dying a 78 I believe that I only have a few years left to achieve the things if want to accomplish in my ‘bucket’ before I die. secondly, I used to subscribe to the Magazine Bi Polar and some how it stopped coming to my door. Is it still available and if so how do i get it? It sounds like the medication contributes to a long life! Have you tried getting samples from your dr? Or perhaps reaching out to the drug company-sometimes they have discount programs. Now 60 years alive, I celebrate 10 years of treatment, being radically aware of how much medication and counseling cost, I live in British Columbia Canada so some meds are covered. I’m lucky that my medication cocktail is covered. I still grieve the 40 years of absolute suffering I endured, dreaming but not acting on suicide for much of the time. It is a miracle that I’m still alive. I lived in the US in the years prior my diagnosis in BC and was misdiagnosed 3 times. Which, along with the price of meds and therapy brought on financial stress and we all what stress does to bipolar people. This caused me to distrust the medical model. So celebration is a bittersweet word to me, and I celebrate all bipolar folks who do what it takes to be healthy. MEDS WORK! DONT FIGHT THEM! THEY ARE OUR FRIENDS! And I highly recommend meditation, omit all sugar and dairy. Meds can’t do it all. We have a personal responsibility to the world around us and our loved ones to take care how ever we can. I wish there was something in se florida. i think the only thing here is in Tallahassee and in light of recent events I would not go there. May I add a comment about lithium? It is a very good drug for bp, but PLEASE make sure you get your levels checked as often as possible. the therapeutic range is very very small. I’ve had two toxic overdoses and my dr and i agree that i can never take it again, i am on other meds. Is anything going on in DC on the 30th? Hello Everyone, I’m a definitely typical Bipolar – but I will not bore you :o) – I would at this time like to review the bright-side! Yes, there is a brighter-side to the flipside of BP and instead of celebrating the designated Bipolar Day I choose to celebrate the following day March 31, 2018…this day is Extra Special. ‘Why?’…you may ask. This Extra Special Day is historically significant for those that will observe it, as the events of this day took place once to eradicate all know ailments, diseases, illnesses, sicknesses, disorders, plagues & epidemics! Millions globally will celebrate the Memorial of Jesus Christ’s death on Saturday March 31, 2018 – you too are invited to attend, invitations have been hand delivered…so please do come! Our Grand Creator and His son Jesus long for that day when ‘no one will say, ‘I am sick.’…a beautiful unfailing Promise that will soon be fulfilled on a global scale – Isaiah 33:24; Psalm 37:11; Revelation 21:4, 5; Psalm 34:8. This is a rhetorical question; “What in the world is there to celebrate about this brain disease?” I have had it for 25 years and I find nothing to celebrate about it. Creating a bipolar day is a positive attempt to bring awareness, but so is secretary day, or donut’s day. I think that in general there will always be stigmas regarding BP and the only time it will change is when it affects more than 6% of the population. However, I applaud what you are doing, and bringing awareness of support groups and ways to politically be heard is awesome. Keep up the good work inspite of jaded brothers like myself. Such encouragement in this article and with the comments above. I was diagnosed at age 40, 16 years ago. This disease has definitely taken a toll on our family’s life at times and yet has brought about such creativity and accomplishment. I pursued and completed a second bachelor’s degree at age 50, taught school for years, maintained healthy periods of years at a time….just recently had my first hospital stay which was one of the greatest blessings to this disease yet at I had never before had such confusion and period of sheer paranoia. This disease does tend to run in families and my son was diagnosed at 16. I’m grateful he didn’t go un-diagnosed all the years that I did! Grateful for modern medicine and the solidarity the internet has provided in the area of mental health. Was diagnosed bipolar in ’96 after misdiagnosed in ’72. Long story short, am now 66 and trying Seroquel after having genomic testing at Mayo clinic in Minnesota, which showed I am a poor metabolizer and have to go up slowly on meds to reduce side affects. Best wishes to all and your struggles. Hang in there to feel better. I run a mental health blog so I am going to be posing about National Bipolar Day on my site and spread the word to my viewers. Not sure what to write about quite yet since I am Bipolar myself, I post a lot of Bipolar Disorder already. I need some good topic ideas! I am 34 and one year into being successfully medicated. I was diagnosed at 15 but my parents didn’t believe in psychology. I left home that year and was on my own. Obamacare has made it possible for me to get medicine and now I am doing so much better. It feels so lonely sometimes. I am grateful to God and all of you and everyone before us who has contributed to finding successful treatment for those with bipolar minds; thank you. For bipolar awareness day I am going to share with my sobriety group a little about my story. I am also going to make a commemorative T-shirt 🙂 I am so glad to know about this holiday. I will plan something for it every year. Next year I will do something to reach even more people. I know that we can be seen for the valuable people we are. Thank you all for being here. Hi Just reading the post my name is Amanda I was diagnosed with bipolar type 2 disorder 7 years ago and I’m still struggling with trying different medications, interesting to read other peoples storys. Diagnosed Bipolar II at age 35 seven years ago. It’s taken this time to optimise meds, achieve a far better insight and getting to know ME! better. I praise therapists who have opened my eyes to DBT and Schema therapy. Which when incorporated into every day life create a massive positive impact. Now, just diagnosed with Cancer, I know I am in a far better ‘head space’, to take on this new battle. The DBT mantra rings true time and again. Stop! Invoke conscious awareness, being in the ‘now’, willingness and intention and experiencing how you are feeling. I wish everyone reading all the very best on their pathway to a better version of themselves. polar after a pychosis at an early age. I too can mask it. Main problem is insomnia. Awareness of the illness is my main goal and mission to alert others of the symptoms and ability to overcome with the right medication and support. Here”s to Bipolar Awareness Day! I was diagnosed with Bipolar Disorder I when I was 21 years old. I’m now 39 and will be hitting the big 4-0 in November. I’ve been unstable the whole time except for 9 consecutive months but that’s not enough for anyone I think we can all agree. Why can’t I find any meds that work and I’ve already been the the Jacksonville Mayo Clinic with no luck. I’ve had a doctor the whole time I’ve been diagnosed and still do but I’m beginning to wonder why I’m wasting my time and money not to mention getting my hopes up that I one day will be ok. I’ve tried everything. Thanks so much for your kind words. I would like to share a presentation which I intend to share with an organization about my bipolar to hopefully get the message out about my journey with gambling and the eventuality of being diagnosed with bipolar there is hope. Love other’s feedback.